Provide comfort for the family of Hurcle Rasnake with a meaningful gesture of sympathy. 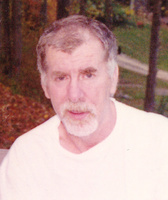 Clintwood, VA- Hurcle David Rasnake, age 79, formerly of Davenport, passed away Tuesday, April 9, 2019 at Dickenson Community Hospital in Clintwood, VA. Born August 23, 1939 in Buchanan County, he was the son of Pierce and Cordie (Breeding) Rasnake, and step-son of Carrie Elizabeth Barton Rasnake. He was a disabled coal miner and was of the Christian faith. In addition to his parents, he was preceded in death by his wife, Lena Mae (Lester) Rasnake, four brothers, Jim, Joe, Jerry and Virgil Rasnake, two sisters, Beulah Sutherland and Margie Cook, three half-brothers, Herman, Thurman and Claude Rasnake, half-sister, Frances Presley and a step-granddaughter, Alisha Daniele Carroll. Survivors include five children, Sharon Deel and husband, Edgar of Haysi, Connie Muncy (Duane) of Huntington, WV, Keshia Austin and husband Carson of Council, Hershel Keith Rasnake of Council and Patrick Shawn Rasnake and companion, Vickie Stevens of Meadowview, 2 granddaughters, Kelly Amanda Robinett and husband, Josh of McCalla, AL, and Brittany Michelle Rasnake of Meadowview, a great granddaughter, Harper Shay Robinett of McCalla, AL, a step-great granddaughter, Kaylee Lockhart of Harlan, KY, a step great-grandson, S.J. Davis of Honaker, three half-brothers, Eddie Rasnake of North Chesterfield, Maynard Rasnake of Glade Springs and James Rasnake of Council and a half-sister, Eva Stevens of Rosedale. Funeral services will be conducted at 1:00 p.m. Friday, April 12, 2019 at Haysi Funeral Home with Roy Lee Wilson officiating. Burial will follow in Frank Smith Cemetery, Honaker, VA. Pallbeareres will be Edgar Deel, Carson Austin, Duane Fortner, Patrick Shawn Rasnake, Hershel Keith Rasnake, Connie Muncy, Keshia Austin, Sharon Deel and Billy White. The family will receive friends from 10:00-1:00 on Friday at the funeral home prior to funeral service. Online condolences may be sent to www.haysifuneral.com Haysi Funeral Home is in charge of arrangements. To send flowers in memory of Hurcle David Rasnake, please visit our Heartfelt Sympathies Store. We encourage you to share your most beloved memories of Hurcle here, so that the family and other loved ones can always see it. You can upload cherished photographs, or share your favorite stories, and can even comment on those shared by others.